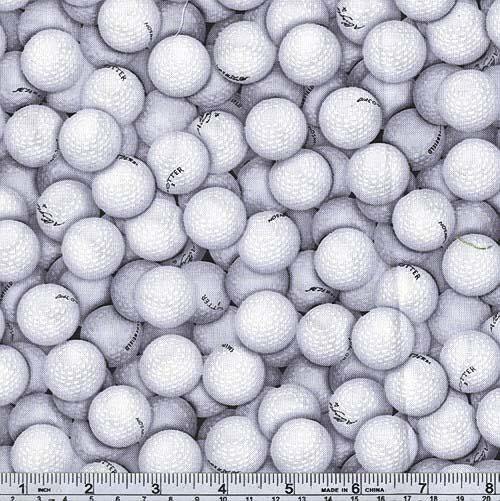 This style is called "Par Excellence".... A cool, cotton golf ball print that's perfect for the golf course AND the clubhouse. White with soft shades of gray for realistic detail - dimples and all - some with brand names. White top-stitching. Gray grosgrain band on the pretty, white-on-white floral print cotton lining. 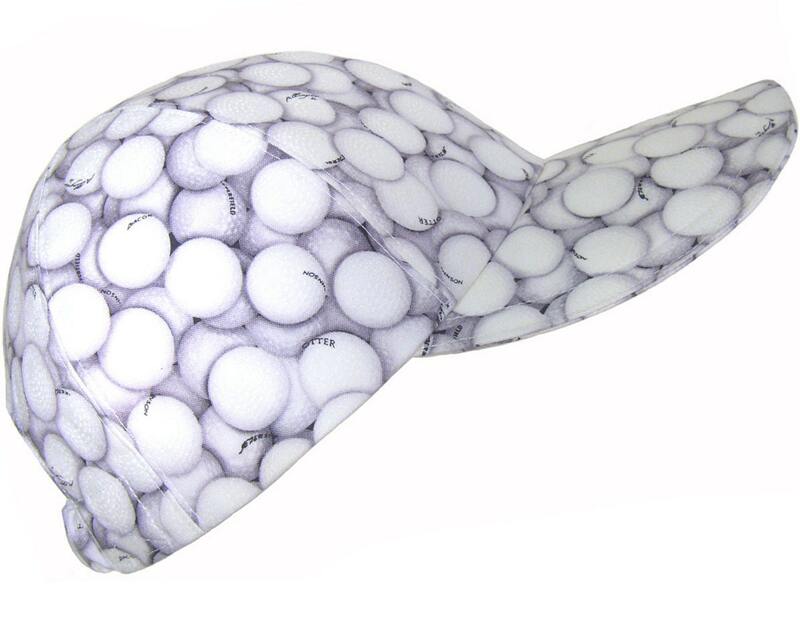 The underside of the brim is the same fabric as on top and gets its' firm but flexible shape from four layers of medium-weight interfacing. It is firm and flexible with no hard plastic like mens' caps. 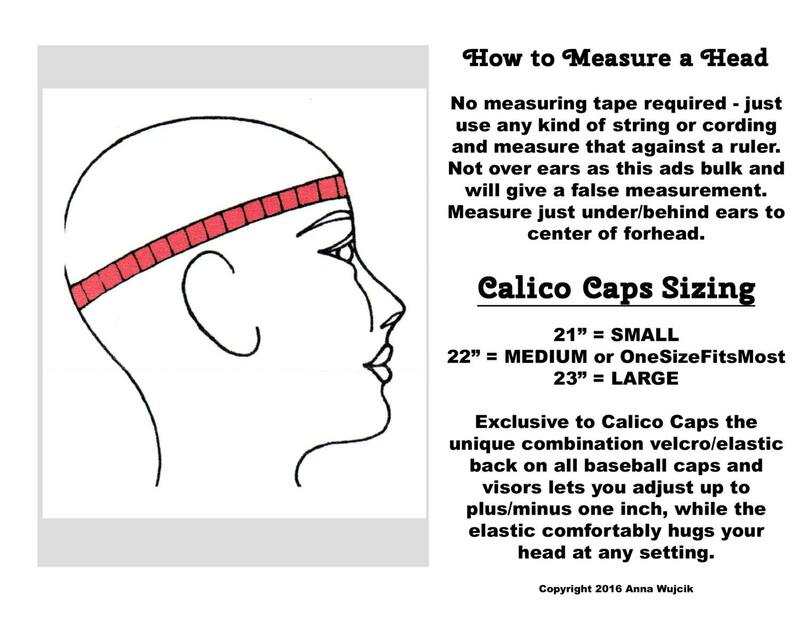 No hard plastic, cardboard or metal means CALICO CAPS are machine washable too and that's a big plus - though I've been told the brim isn't quite stiff enough to hold those heavy clip-on golf ball markers - they're perfect in every other way.